It is a privilege to live in the Mediterranean where every day the sun is shining and the sky is blue. One of those strategic points of the Region of Valencia is Denia, an international tourism hub with a treasure trove of good food, leisure activities and nature. Welcome! 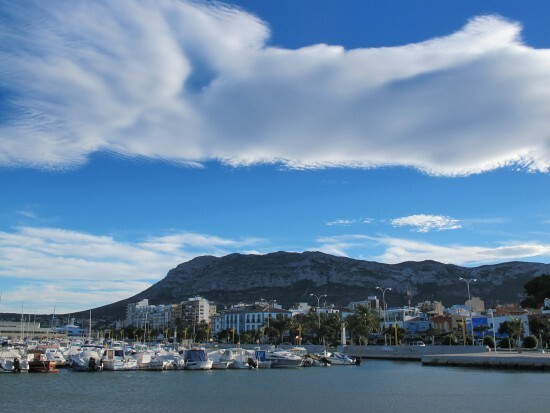 North of the province of Alicante,with a very good connection to Valencia via motorway is Denia, the capital of the region of La Marina Alta, and part of the iconic silhouette of the Costa Blanca, with its castle and beautiful port. The school of TLCdénia offers our students the treasures of this city, connoisseurs like that already in itself is very attractive to tourists. Endless trips can be planned throughout the region and around the Montgó, the mountain that is a hallmark of the whole area. But today we will be immersed completely in Denia to enjoy the delights on offer calmy ad with no rushing. There are ingredients to suit everyone, even the fussiest eaters. TLCdénia organises themed outings with their students to try the typical dishes of the area. Gastronomy is certainly one of the highlights and, not surprisingly, in Denia there is one of the few restaurants in Spain with three Michelin stars, the one of Quique Dacosta. 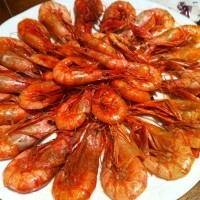 Although it is for the gourmets pockets, a bowl of red prawns, paella or fresh fish from the fish market will delight anyone who visits it. Vegetables and seasonal fruits from the orchards of the county form, in short, a festival of Mediterranean diet. The bars of the old town or the local port provide a great nightlife, where you can enjoy a drink on the terrace, facing the sea, enjoying the sunset or starry nights. Bliss!. Denia is a city with a long history, inhabited since Roman times in the first century BC, always chosen as key point in naval strategy. The lookout, the same castle gates and towers are vestiges of its Roman past, Arab, Christian and splendid stage of the Marquis, in the fifteenth century. The 20 km of coastline, beaches and coves of Denia are an essential part of the stay. There is something for everyone. In the area of ​​Les Marines, it is spacious and comfortable to stay with family and some quieter beaches: Punta del Raset, Les Marines, Les Bovetes, Els Molins, L’Almadrava and Les Deveses. South of the town in Las Rotas a series of hidden and secluded coves are deployed until the Cabo de San Antonio; a natural area with fresh water and beautiful seabed, which you can see from the rocks or by sports activities such as sailing, snorkeling or scuba diving for the initiated. 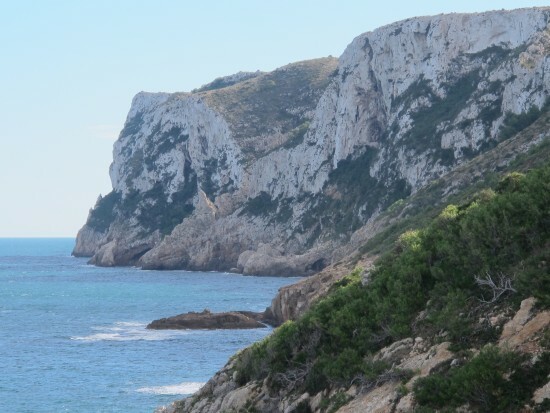 An excursion to the Cova Tallada, ranging between Denia and Javea, in the Natural Reserve of Cabo San Antonio, is the best way to discover its natural charms. As is hiking or sailing boat to cycle through all the caves and corners of the area. This route allows you to experience the peace of the sea and the blue Mediterranean, which has managed to be preserved here. Inland, a visit to the Natural Park of Montgó is required as it has a perfect combination of green and blue with views from the highest peak in the area.